The Vanguard Crazy Hours™ is a colorful and dynamic men collection. Clad in a lightweight black carbon case, its distinct Arabic numbers, applied by hand, in flashy colors, explode from the black dial. 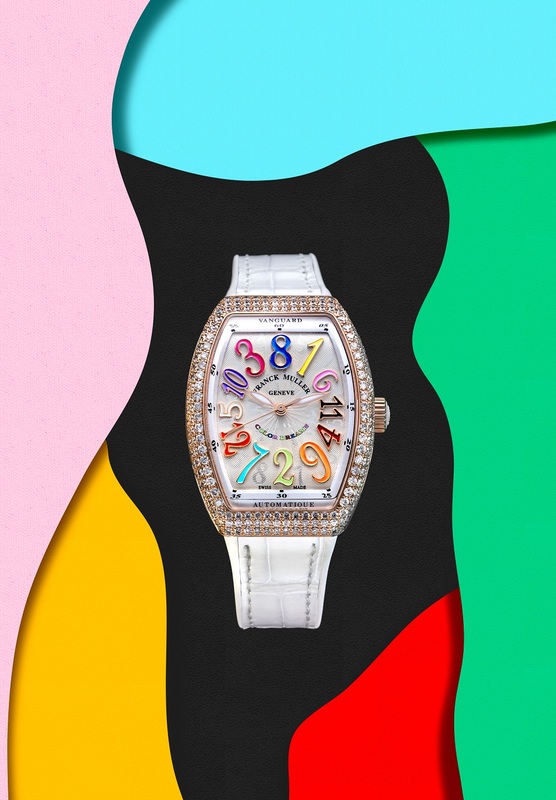 To emphasize, the inserts on the side of the watch, the emblazoned crown and stitches on the hand sewn alligator strap echo the flashy colors of the numbers. 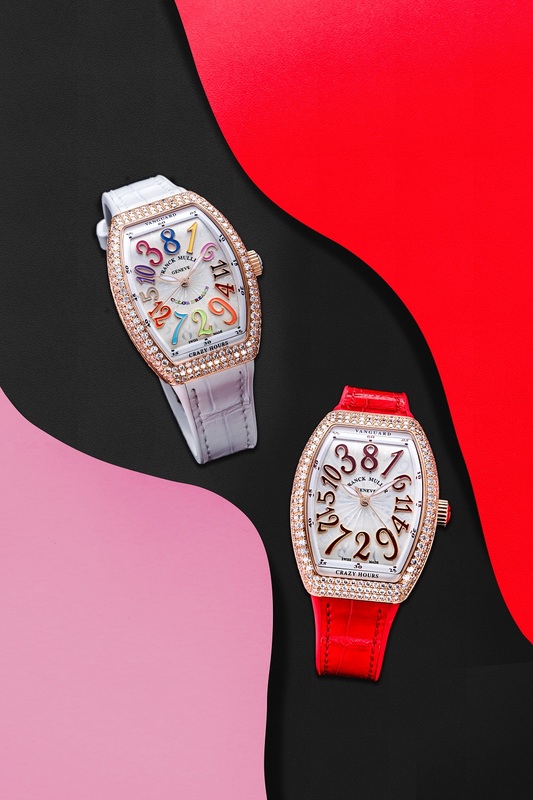 The Vanguard Crazy Hours™ Lady, is the counterpart of the men collection, in the absolute best way with glamorous colors and a case hand set with 299 brilliant-cut diamonds (3.83 carats). With its sun-stamped lacquered dial and distinct numerals applied by hand, the Vanguard Crazy Hours™ Lady ensures a firm grip on the Franck Muller traditions, with a youthful and futuristic aesthetic. Time becomes a value that is personal, individual, and unique. You find yourself eagerly waiting at each 59th minute to observe the Crazy Hours’ mesmerizing jump. The Vanguard Crazy Hours establishes a new philosophy and proclaims independence from the established order of time. Launched in 2003, the Crazy Hours™ complication has attracted watch aficionados for more than fifteen years in its famous Cintrée Curvex™ case. It is presented for the first time in a Vanguard™ case in January 2019 during the must-see watchmaking fair of the House, the WPHH. The complication comprises a jumping hour module and an automatic movement. While the hour hand jumps to point the correct hour numeral, the minute hand revolves round the dial in a traditional 60-minute cycle. Although the hour numerals seem randomly placed, there is a sequence to the ‘crazy’ hours – each subsequent number is placed at an approximately 150-degree arc away from the preceding number.